An international nuclear watchdog has urged TEPCO to focus on “long-term” radioactive waste management while acknowledging the “progress” in TEPCO’s efforts to deal with contamination at Japan’s crippled Fukushima nuclear power plant. “FDEC could better employ long-term radioactive waste management principles (beyond the segregation, relocation and dose reduction/shielding currently performed),” the International Atomic Energy Agency (IAEA) said in its third missionreportfollowing March 2011 tsunami driven disaster. The 58-page report is based on findings made during a 9-17 February visit to the accident site by the 15-member IAEA team. It focused on engineering, management, environmental, and communication initiatives at the disaster site. “While recognizing the usefulness of the large number of water treatment systems deployed by TEPCO for decontaminating and thereby ensuring highly radioactive water ... is not inappropriately released,” the agency said, noting that not all of the treatment systems are operating to their full capacity. The Austria-based body once again reiterated that the “primary responsibility” of all safety procedures at the crippled site lies with the operator (TEPCO), as it urged the company to present a better plan to store the contaminated water. It called the current arrangement “at best a temporary measure” highlighting that a more “sustainable solution” is needed. “Considering the high activity of radionuclides in the water and the large volumes treated, the radioactivity content of resulting wastes is very high, requiring careful attention to their handling, containment and storage,” reports says. The watchdog noted improvements in the number of efforts at the site including: completion of the removal of fuel from Unit 4; improvement and expansion of the contaminated water treatment systems; and installment of new tanks a for contaminated water storage.The IAEA also noted the work carried out on the construction of underground water bypass and clean-up of the site that reflected in lowering the radiological dose rate. “We appreciate the many suggestions the report makes for further efforts and, in some places potentially different ways of approaching a problem. We will diligently pursue these recommendations and will continuously improve our efforts by utilizing the IAEA's knowledge,” TEPCO President Naomi Hirose said upon receiving the report. 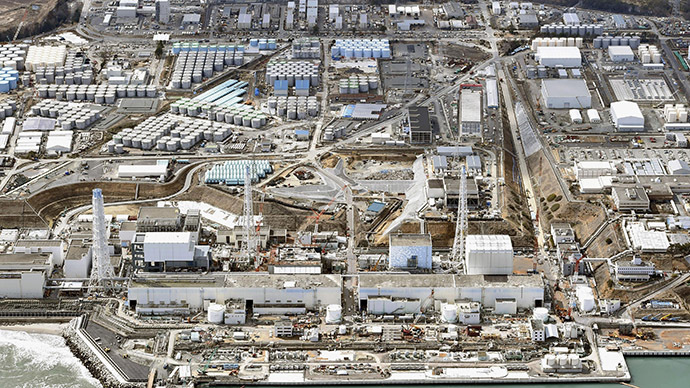 Three of the Fukushima plant’s reactors suffered a nuclear meltdown due to an earthquake and tsunami in March 2011. The water used to keep the reactors cool is tainted with radioactive material and has since been leaking and mixing with groundwater that has been seeping through the facility. In late April, the water transfer pumps at the Fukushima plant were shut down due to a power outage, leading to the leaking of radioactive water into the Pacific Ocean. It was preceded by a series of toxic leaks in February, which saw around 100 tons of highly radioactive water leaked from one the plant’s tanks.